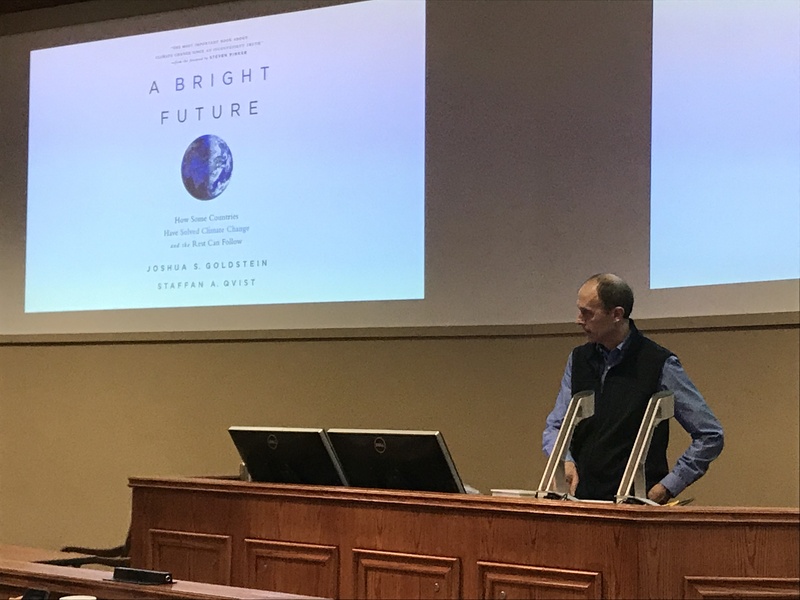 University of Wisconsin hosted an international relations professor Thursday, who argued nuclear energy was the safest, most practical power source, and the best one to transition the world away from fossil fuels. American University professor Joshua Goldstein, the co-author of “A Bright Future: How Some Countries Have Solved Climate Change and the Rest Can Follow,” acknowledged the positive and negative aspects of different energy sources — like the harmful health implications of coal — but concluded that nuclear power is the safest power source. 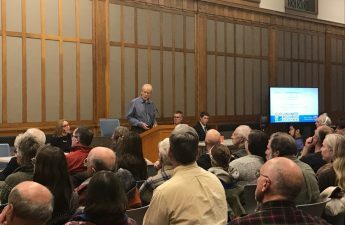 But Goldstein told the student audience they will have to inform legislators of nuclear energy’s positive qualities if they want movement on the issue. “There is pretty strong government support for renewable energy, and not much for nuclear power,” Goldstein said. Many people are afraid of radiation, Goldstein said, but we are all living in a “soup of radiation.” Some places just happen to contain more or less radiation. During the natural destruction of the Fukushima nuclear power plant in Japan, many people evacuated the area in fear of radiation. But, Goldstein said, the radiation emitted was below the safety standards, and was not actually harmful. Goldstein recognized that many people are also afraid of nuclear waste and how to dispose of it, but their fears are also unfounded. Disposal options for nuclear waste include burying it deep underground or by burning it in a new type of machine called a breeder reactor, which could reuse the waste, Goldstein said. To disincentive greenhouse gas-emitting energy sources, Goldstein said a fee could be placed on disposing carbon waste. The fee, in turn, could be used to fund better, cleaner energy sources. But he said it would be a political issue, because many companies care more about their finances in the short term rather than the long term. It would be even harder to convince companies to invest in nuclear energy, Goldstein said. “Companies [would have to invest] billions of dollars up front for an asset that’s going to produce over 60 to 80 years … for many, they don’t care that much,” Goldstein said. 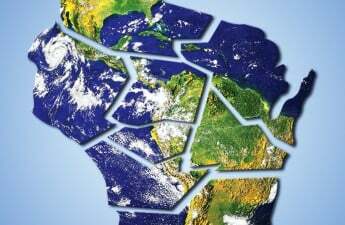 Marcel Granetzny, a graduate student at UW, asked if there was enough uranium to make this idea work on a global scale. His answer, as with the others, pointed towards nuclear energy’s potential.